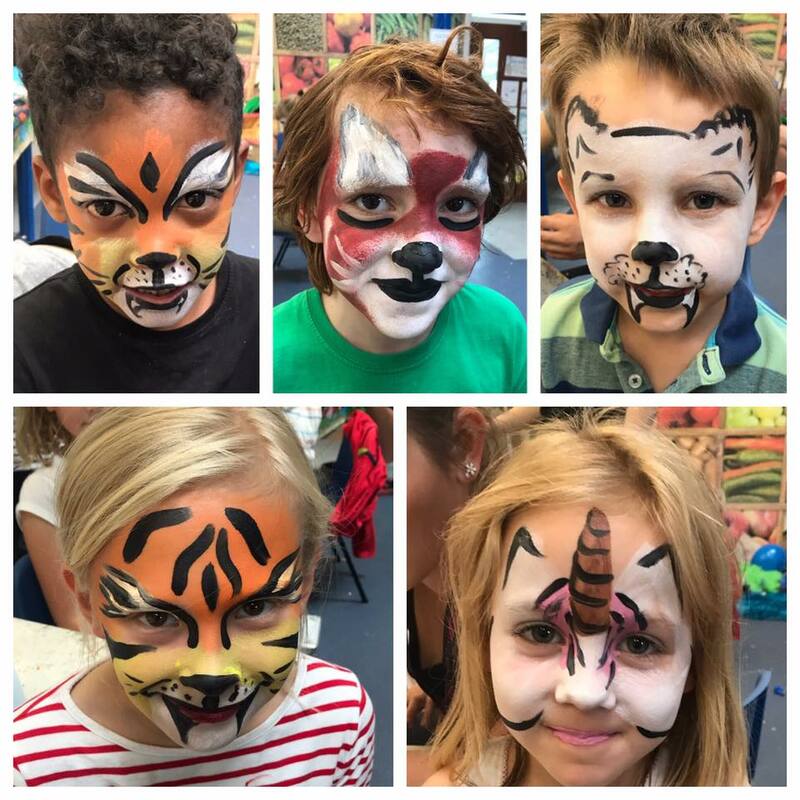 And in full swing, have a look to see what fun we get up to today!!! 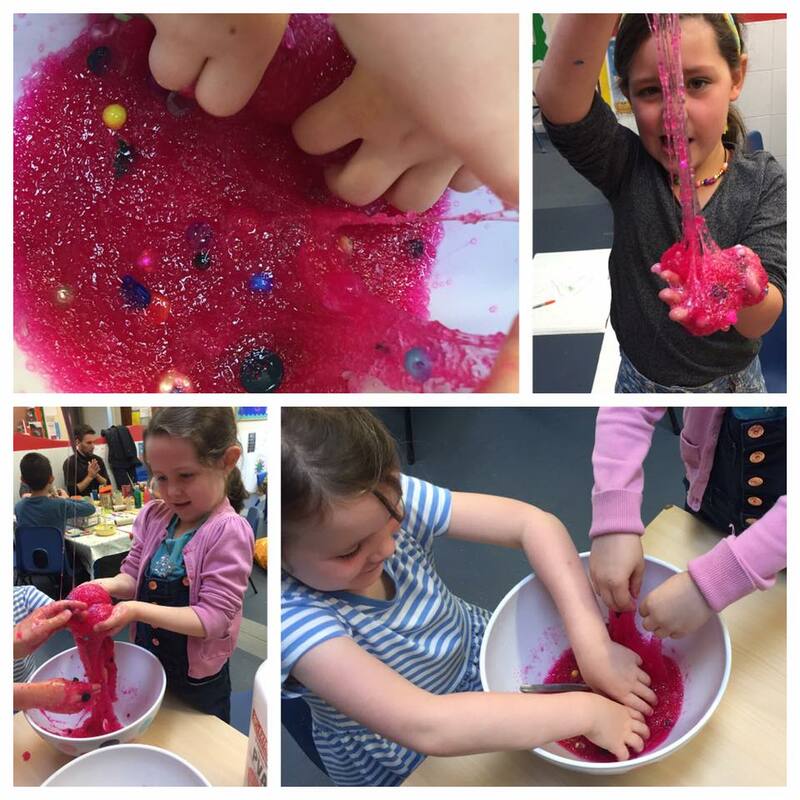 Messy slime!!! We added lots of sequins and sparkles! Wowza! 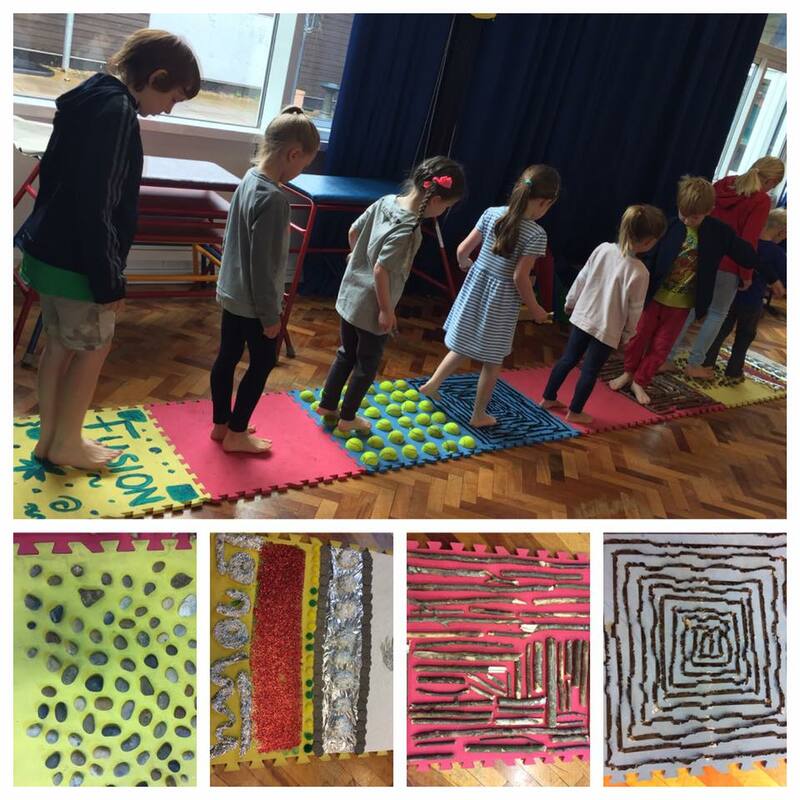 The children are having lots of fun with the home made sensory mats! 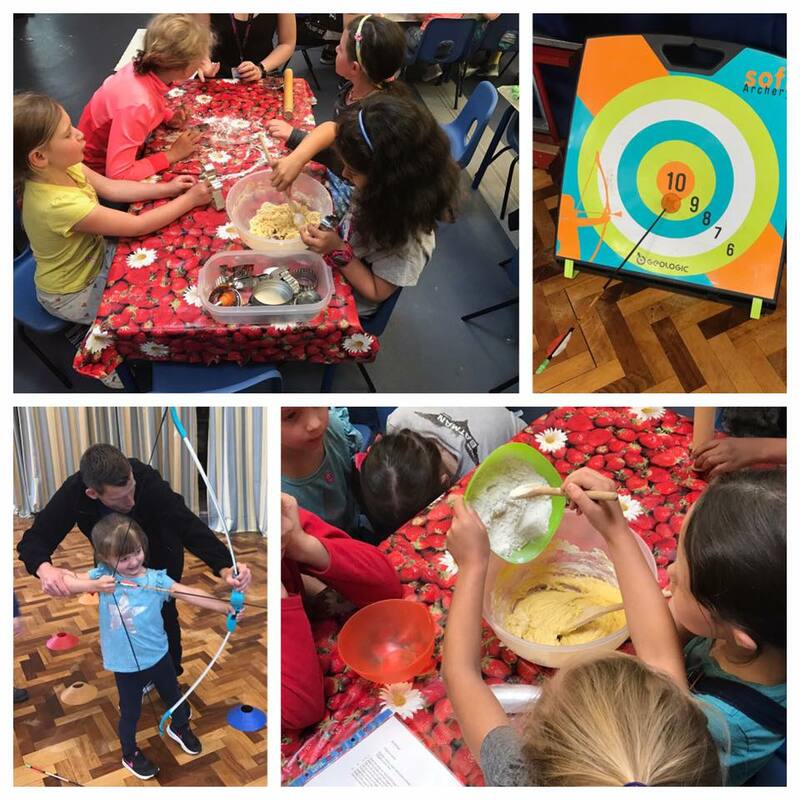 Baking and archery at summer club today! 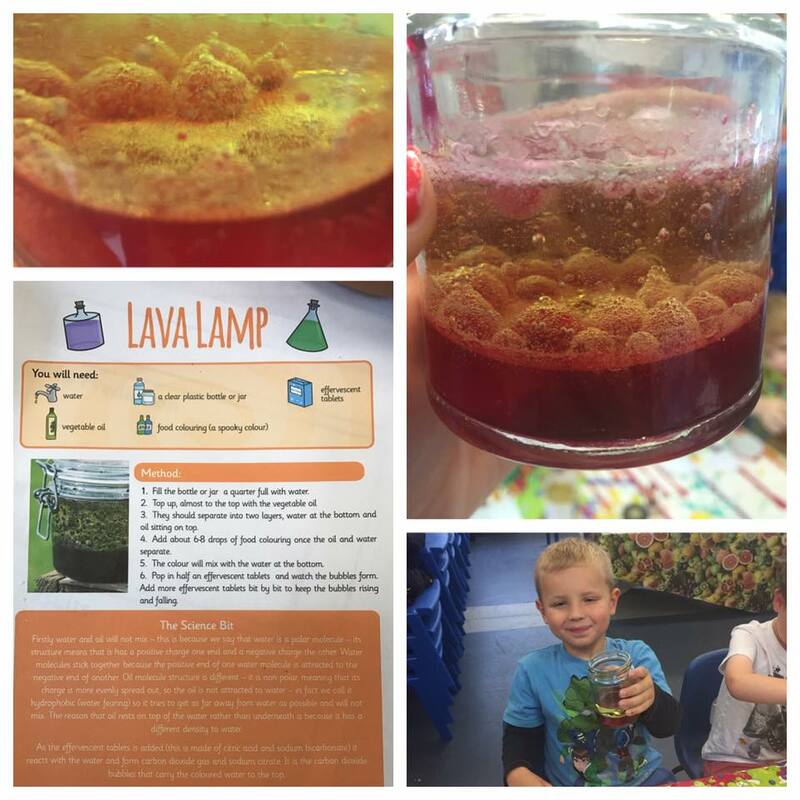 Home made Lava lamps! 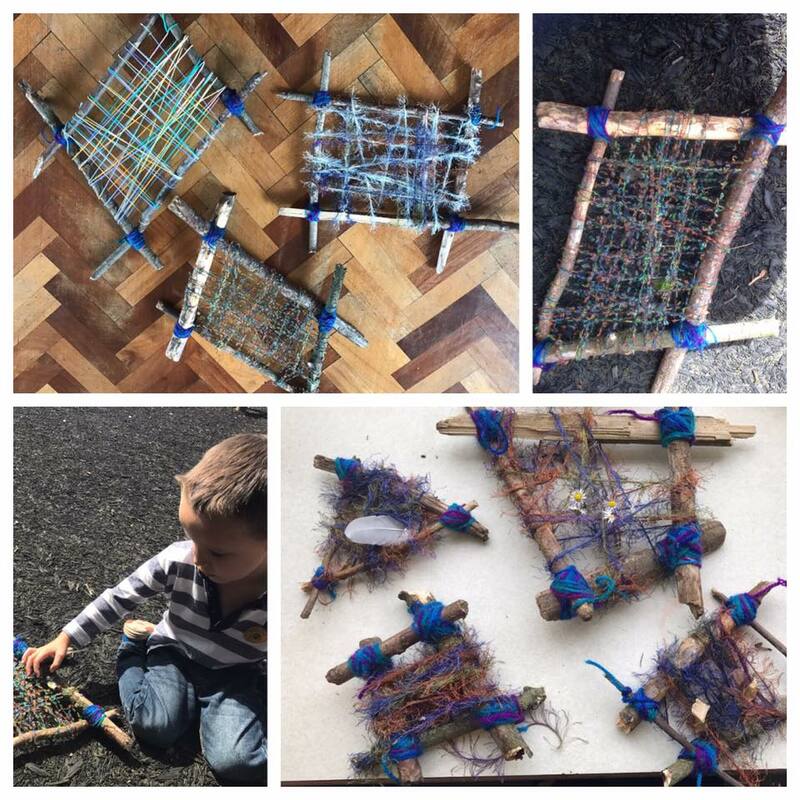 Why not have a go at home, super easy to make and lots of fun!! 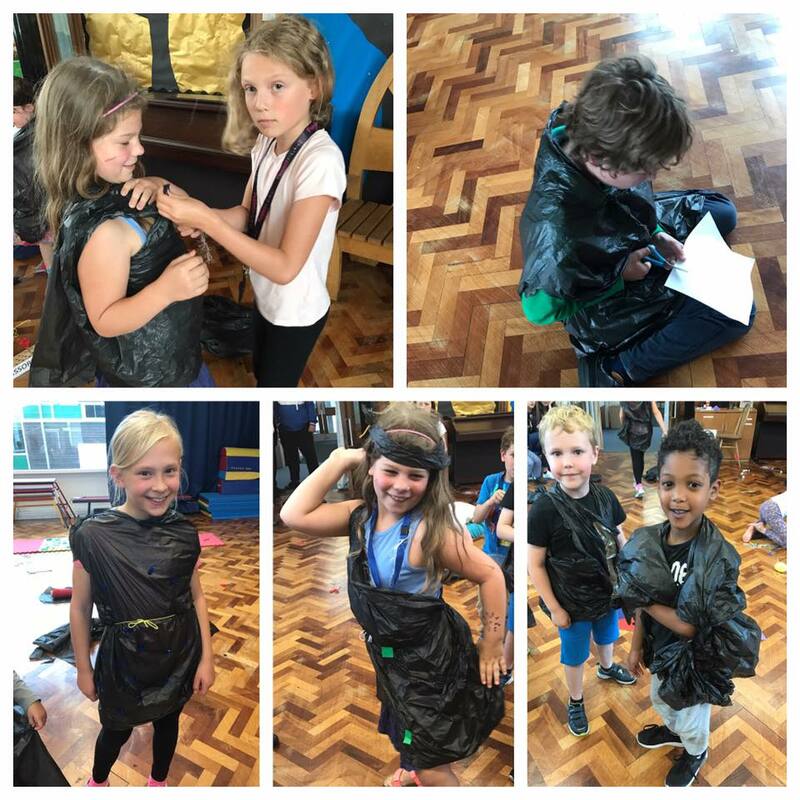 This morning we got to know new people by playing this fun game! 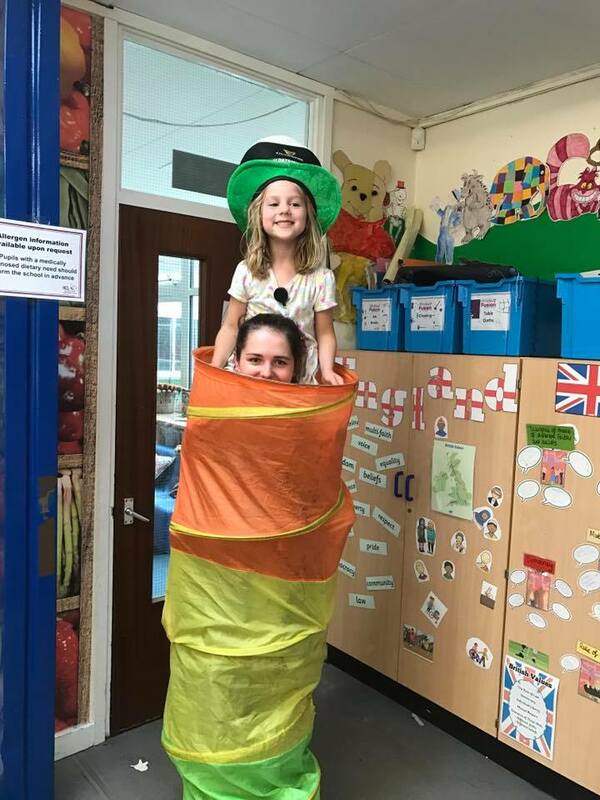 The winner was Poppy who spoke to all the children in the quickest time and found out facts about them! 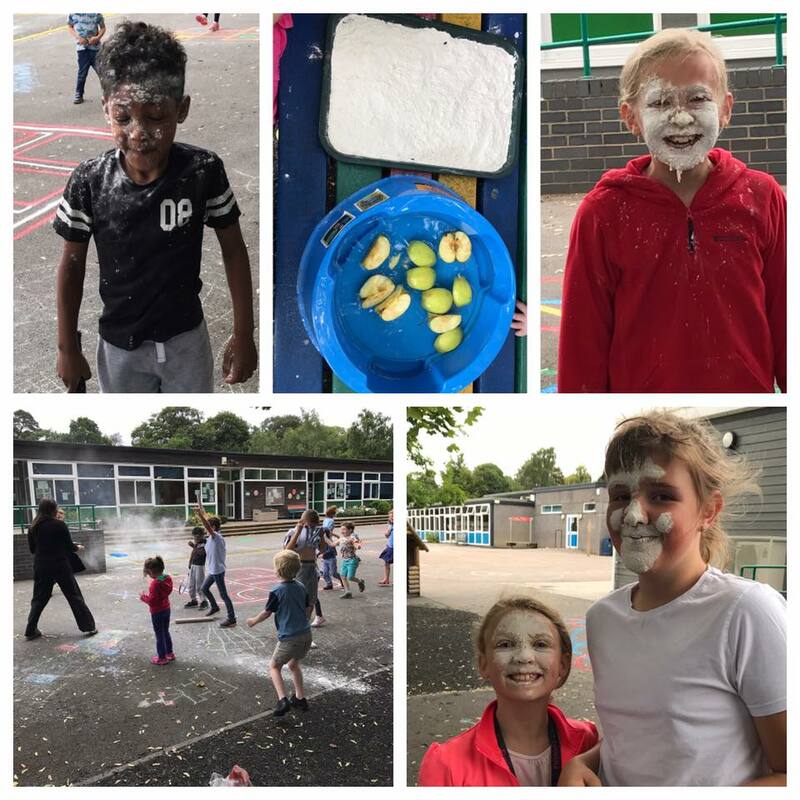 This morning at summer club we have had lots of fun! 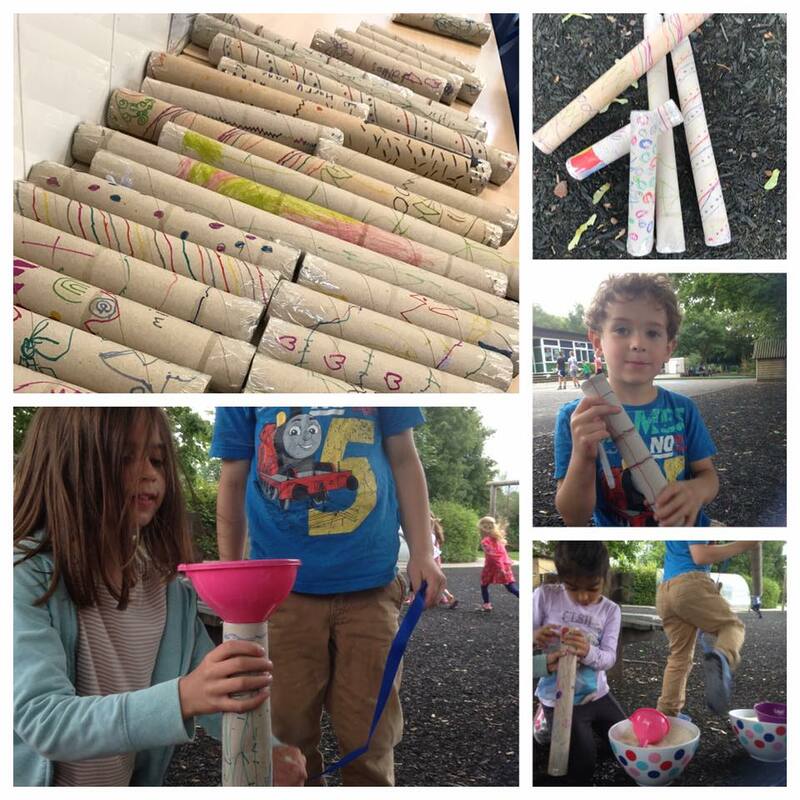 Sack racing and paper mache ready for our maracas! 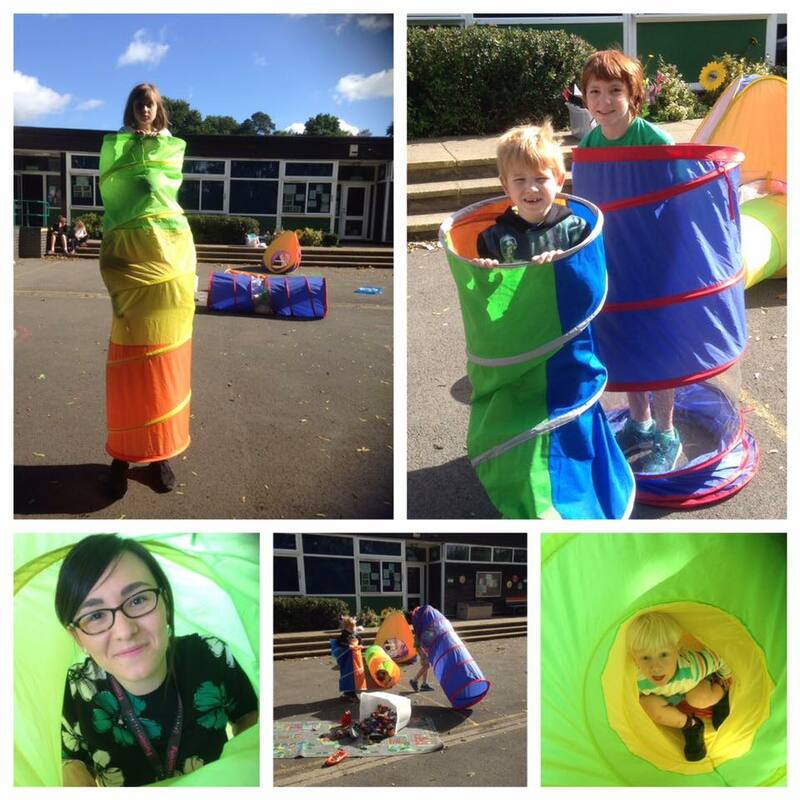 Emerald fun! 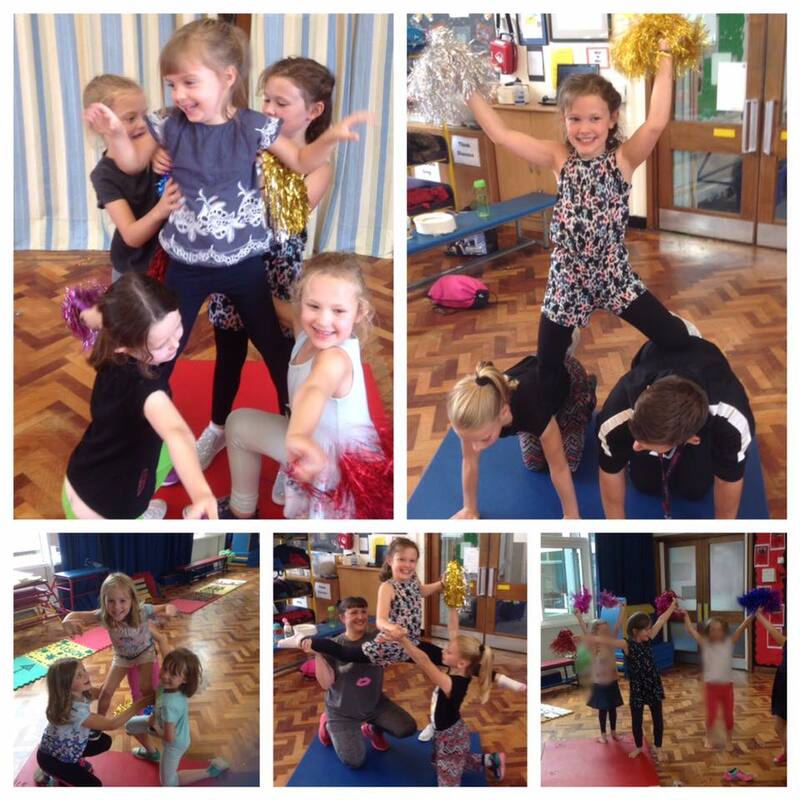 Today we learnt to cheerleading and made up our own routines. 2…4….6….8 who do we appreciate, not the king, not the queen but F…U…S….I….O….N!!!! 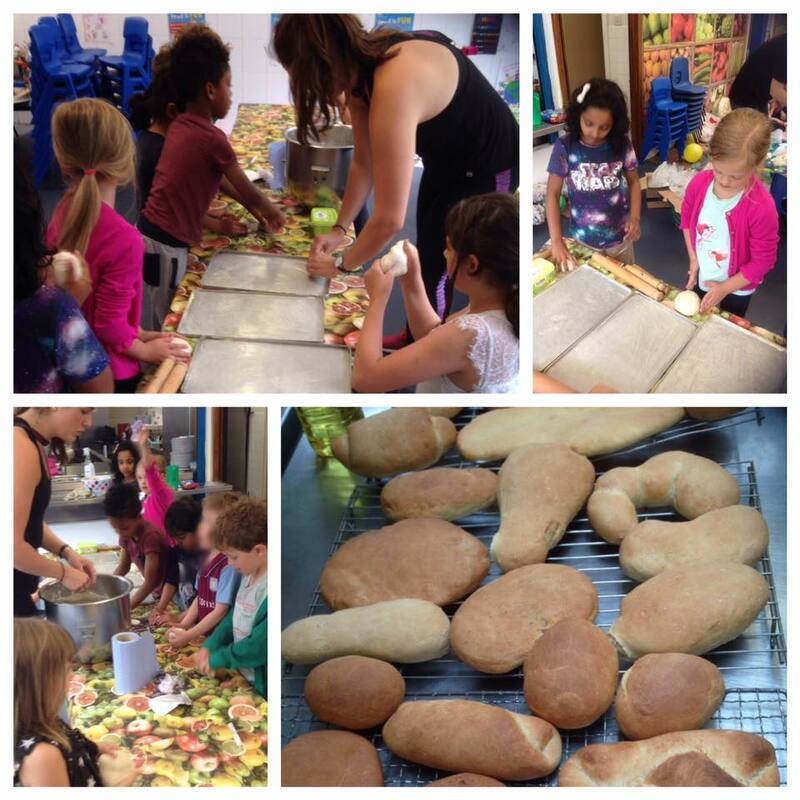 We have been so busy today! 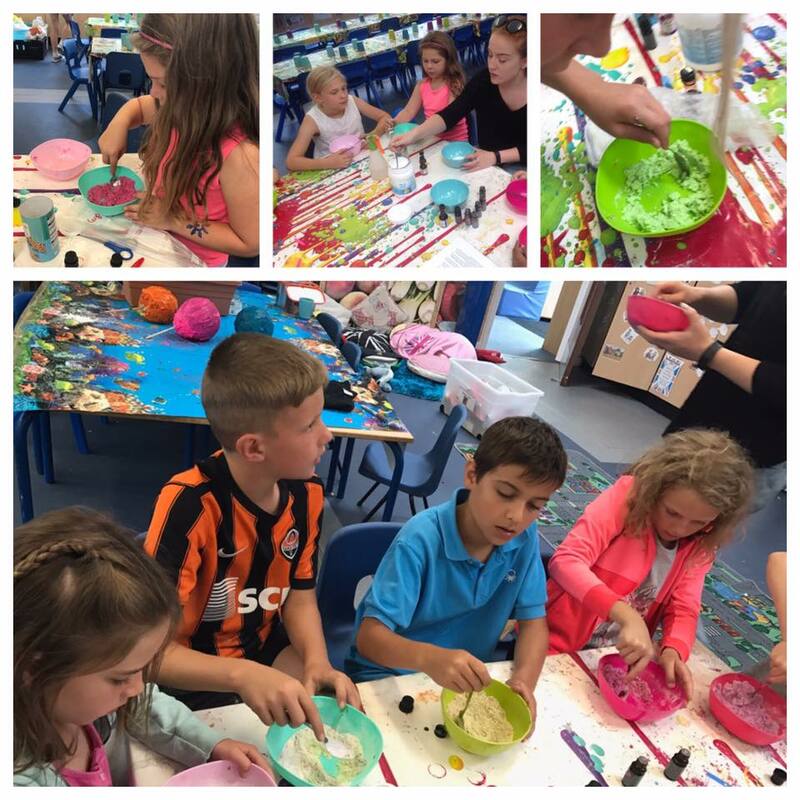 We have made cd dream catchers, decorated our own letters, made puffy paint, paper mached, made cress heads and flour head and so much more…..!!! 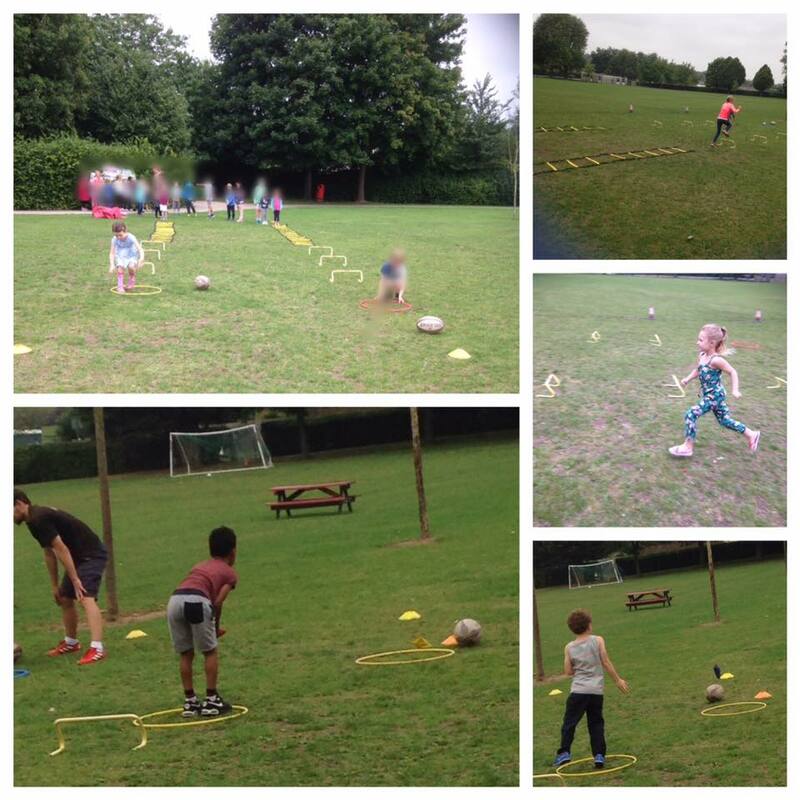 Obstacle course with Mr d this morning! 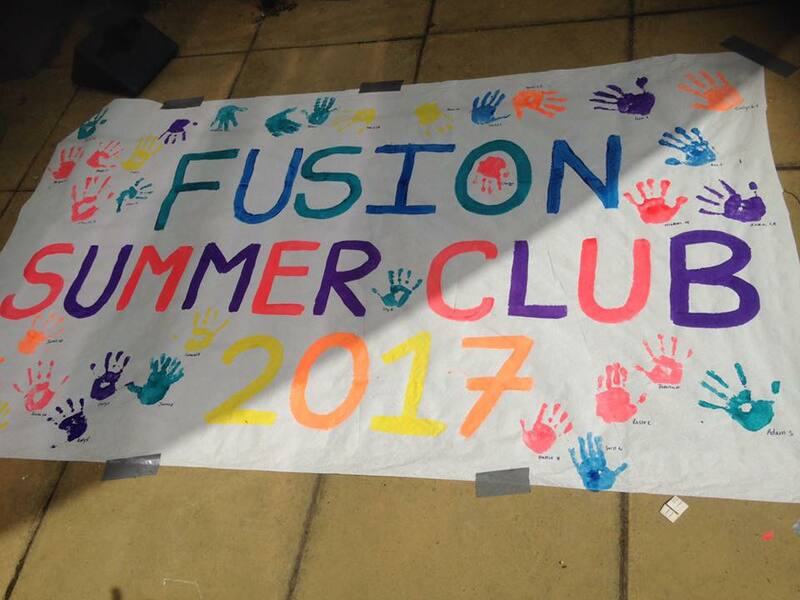 Hello Children at Fusion Childcare! I was out walking my 9 month old puppy Tommy this evening and guess what I found on my walk though Batford fields near the Marquis Pub (bottom of Crabtree Lane)? 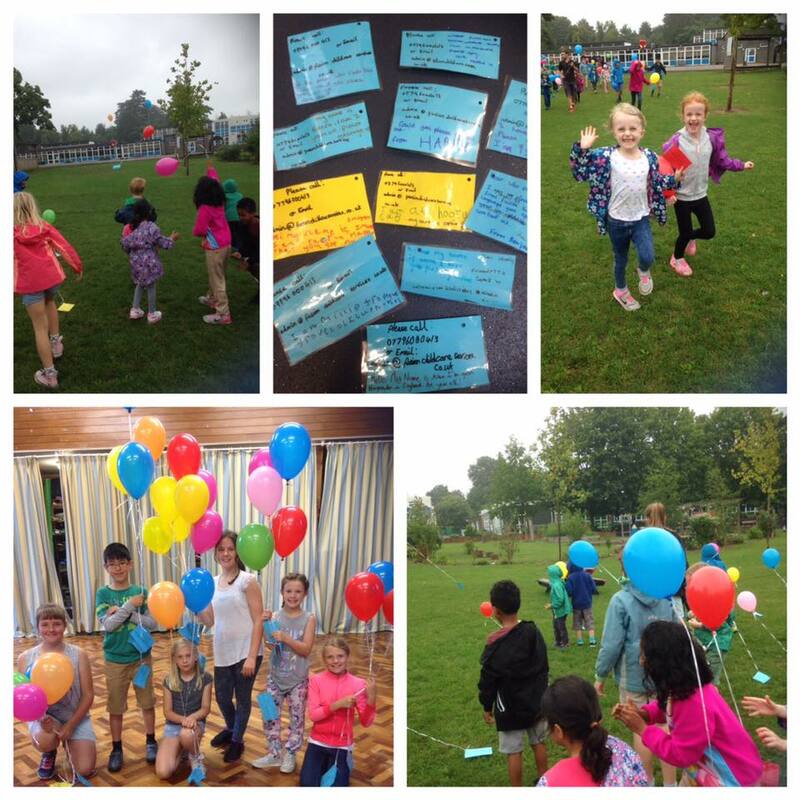 Tangled in the bushes was a burst blue balloon with a blue ticket at the end of the silver string! So your balloon has made its way all the way over here! I was most excited to have found such a treasure on my walk. My puppy Tommy was not as impressed as I was – all he wanted was to have a swim in the nearby river. I wish you all a lovely summer. 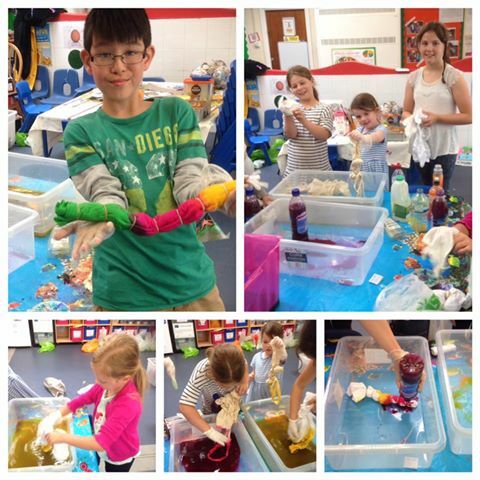 Today we have tie dyed t-shirts and bags! 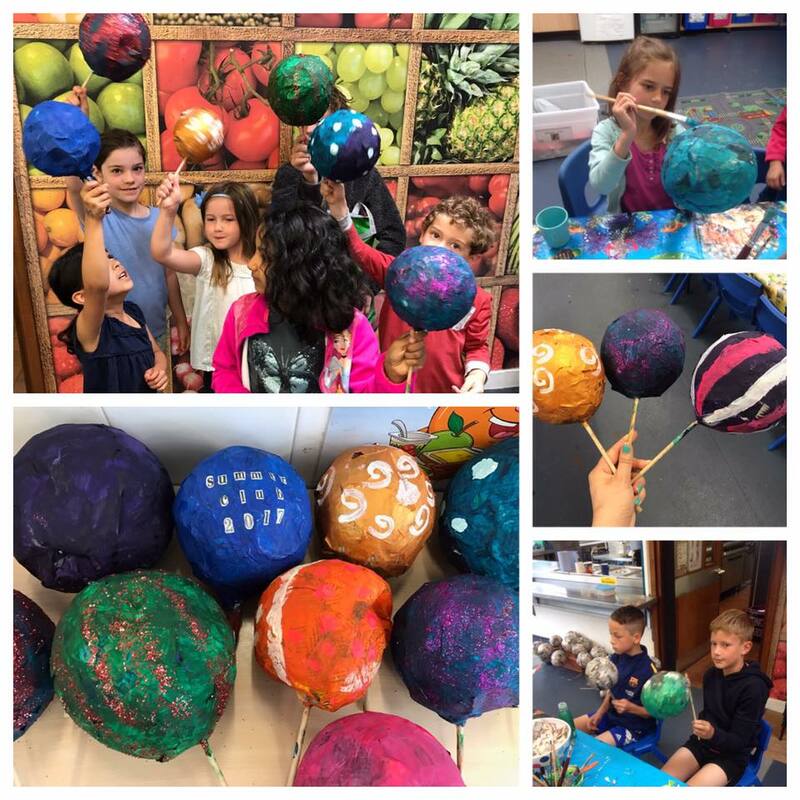 We can’t wait to see the final product!! They all look great so far! 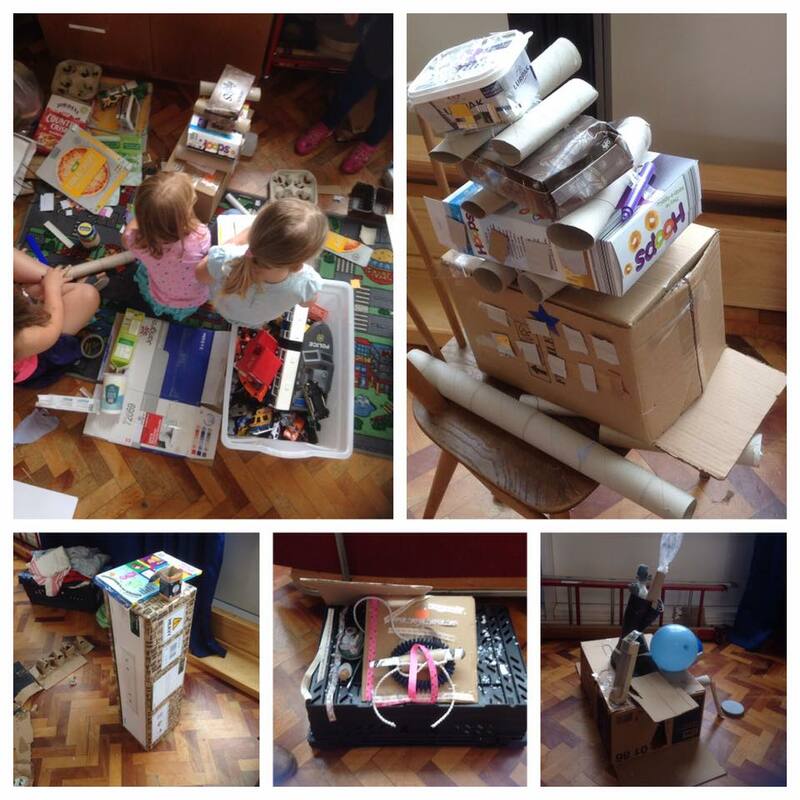 It’s been a Junk Modelling kind of morning!! 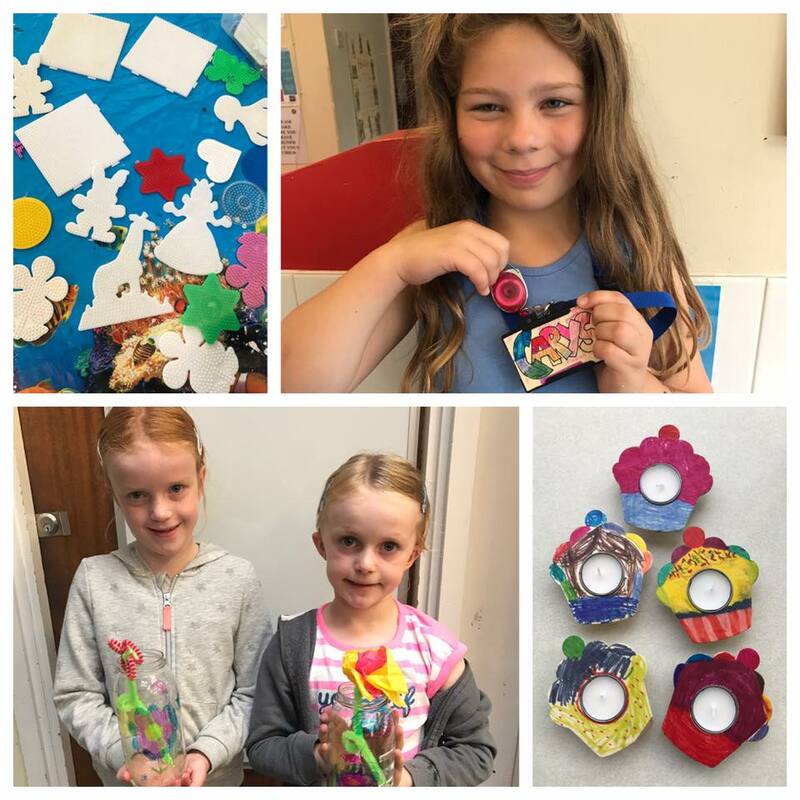 Look at the fabulous creations! 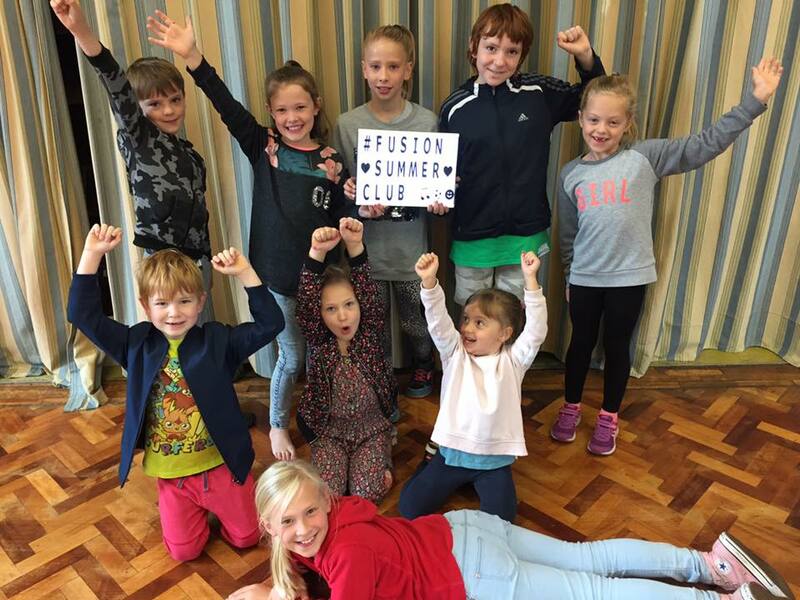 Well done to the top right team, you did fab!!! 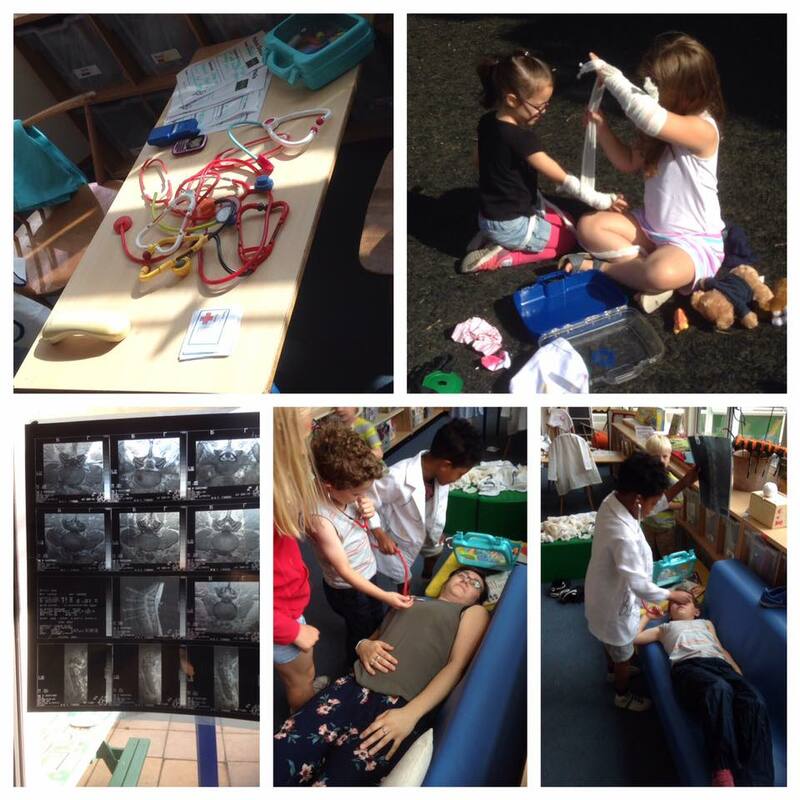 This mornings activities! 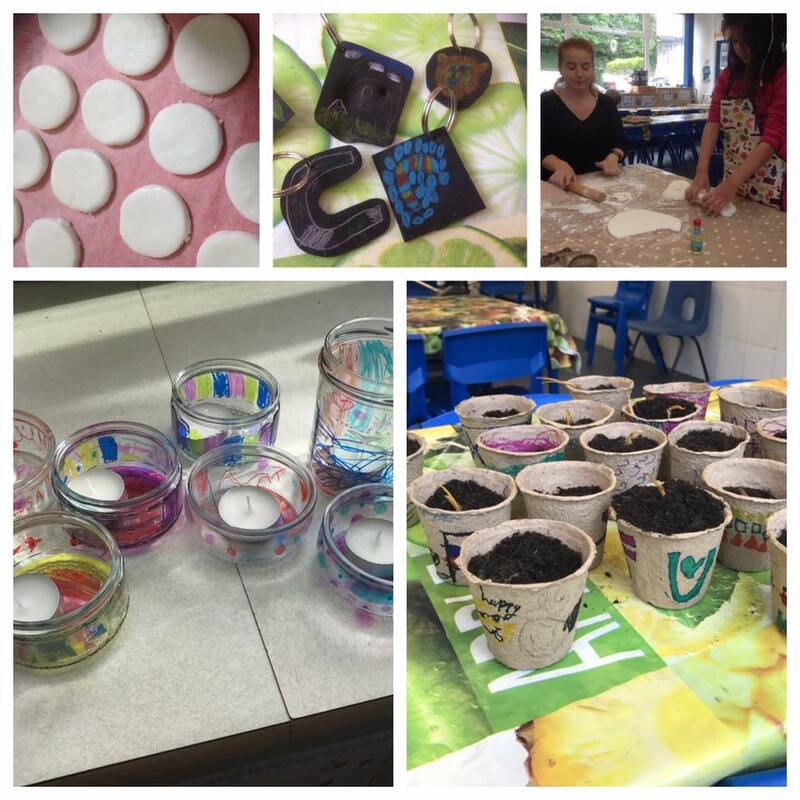 Frozen jelly, shrinky crisp packets, home made jewellery and dream catchers!! 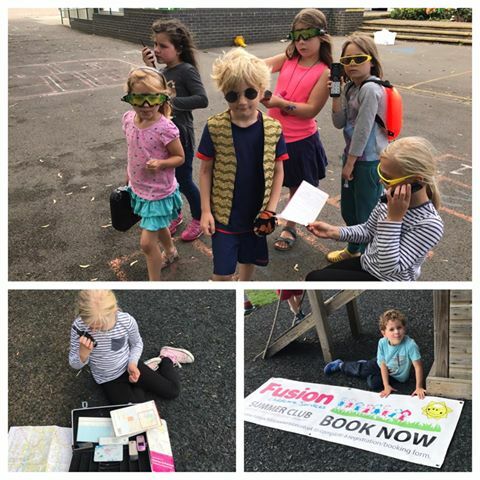 Scavenger hunt!!! 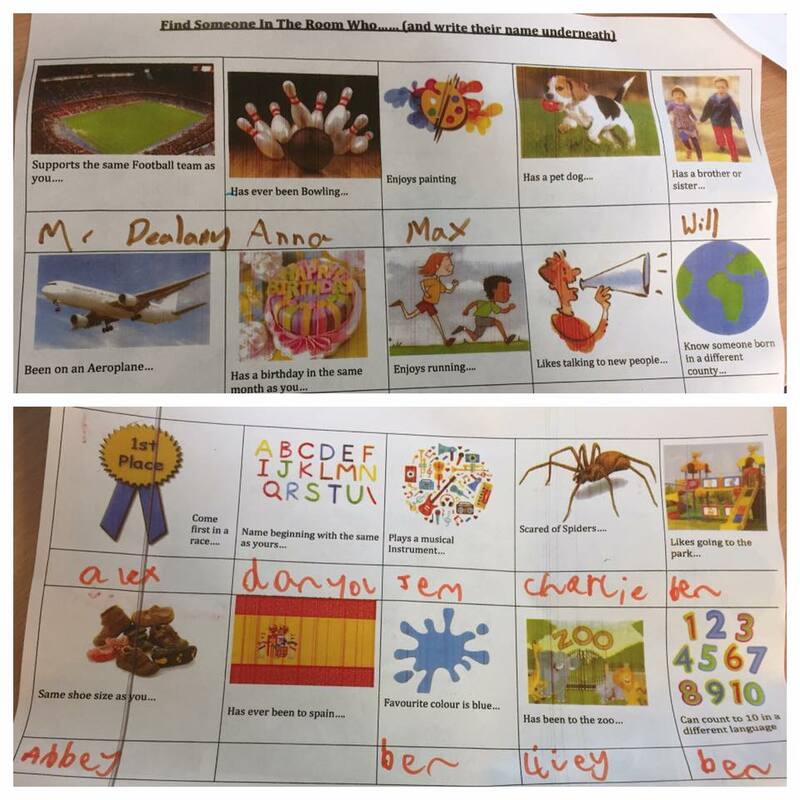 Well done Tyler and Charlie for winning! 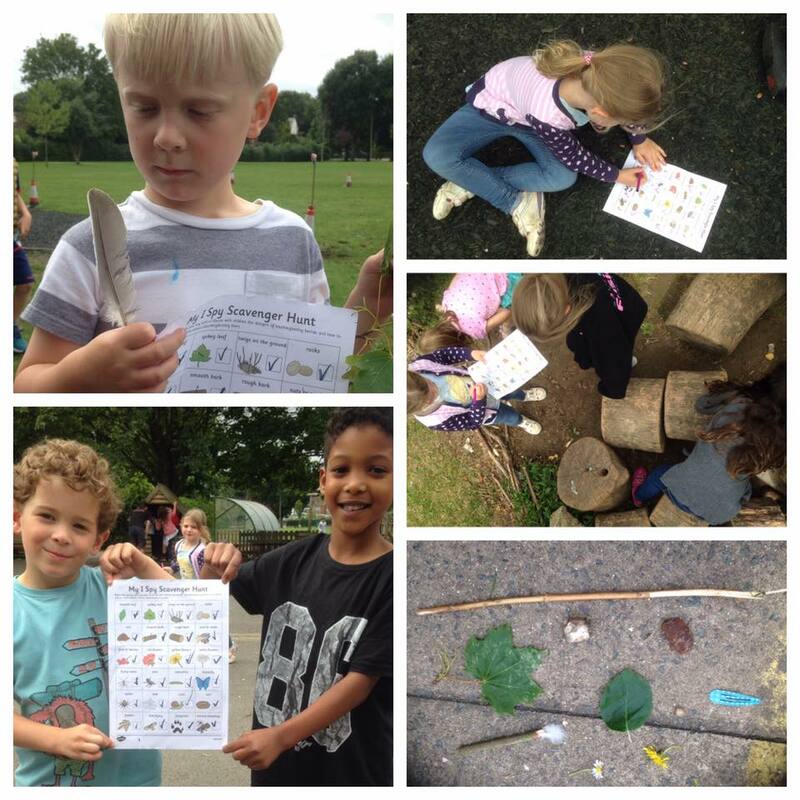 What great fun and good exploring! 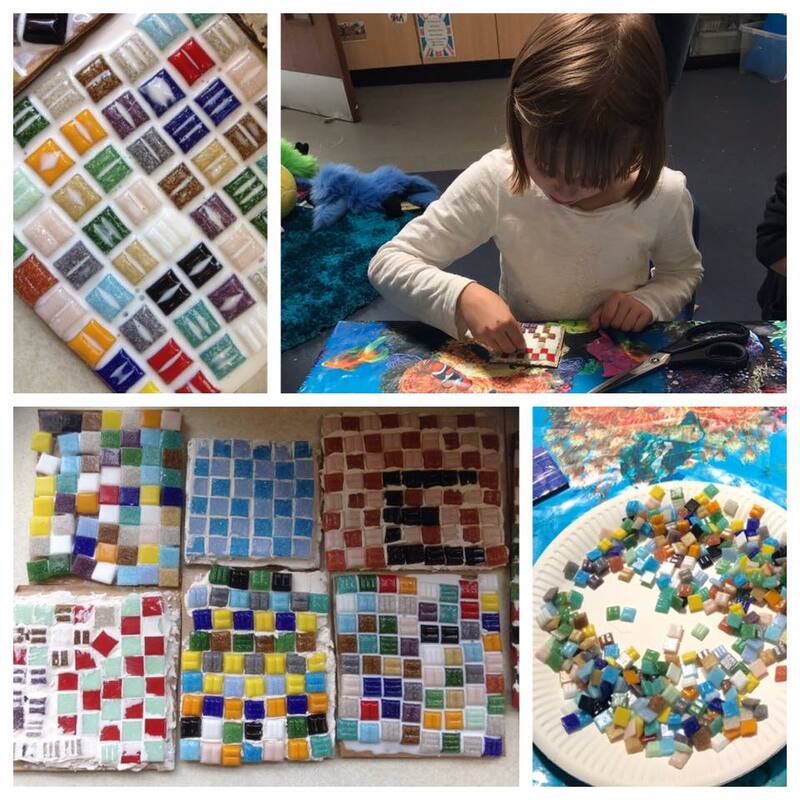 This afternoon we have made mosaics! 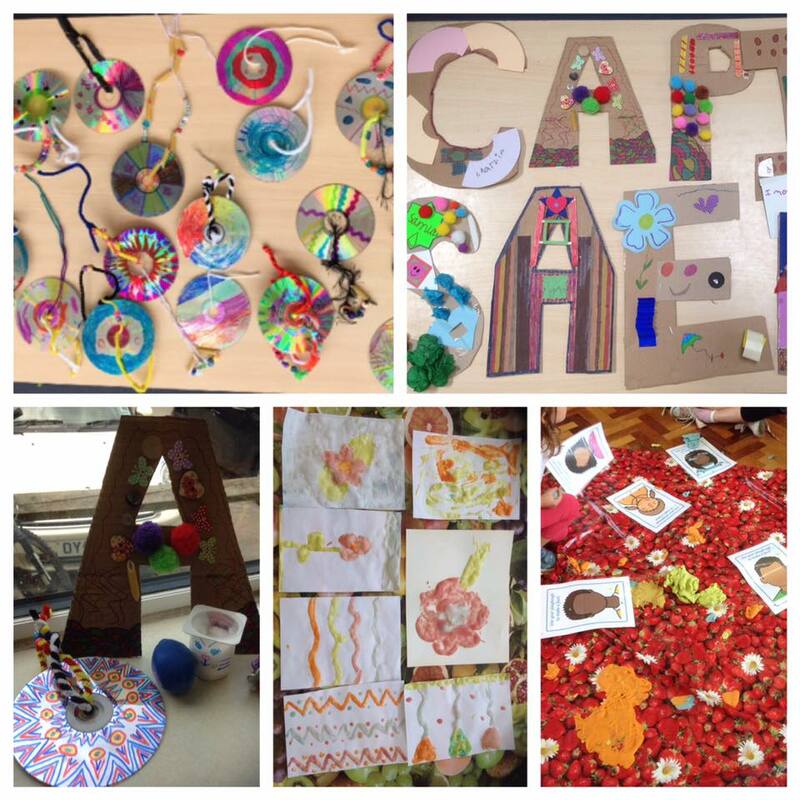 The children are very artistic and talented and took a lot of time to create these master pieces! 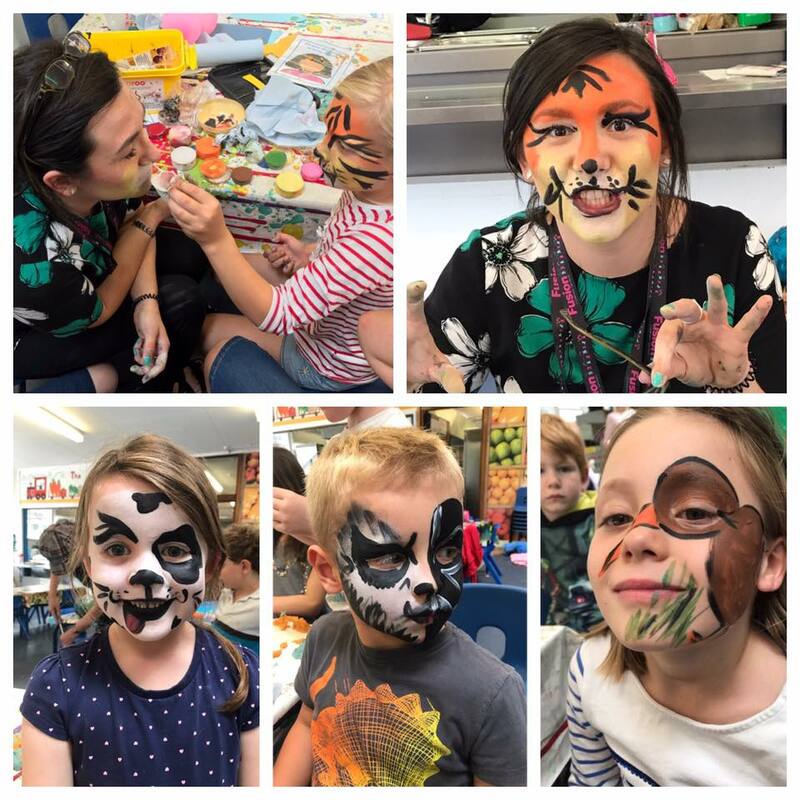 Wow, what a great afternoon! 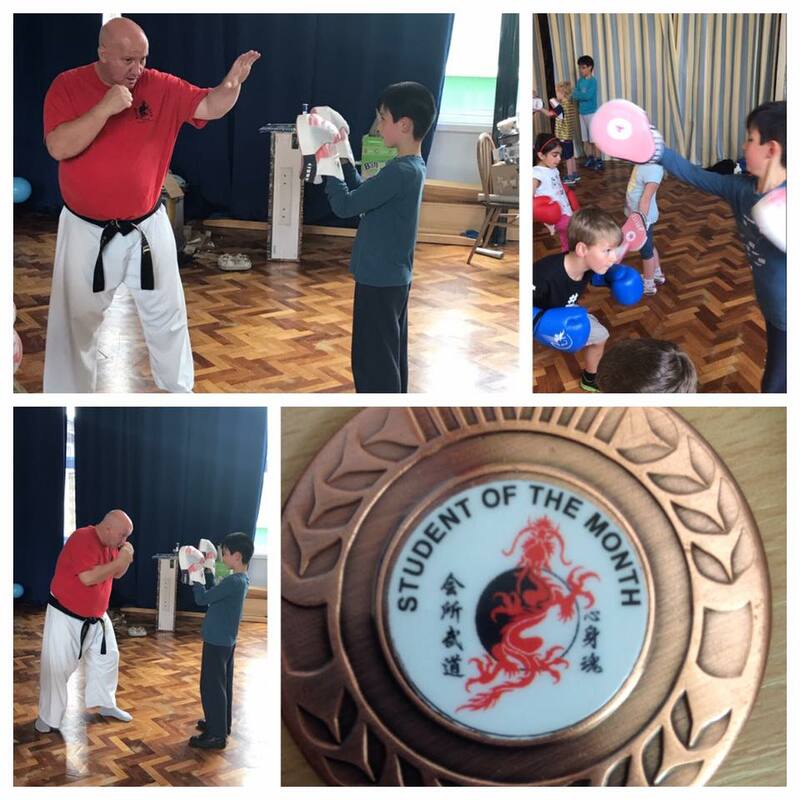 Another big thank you to Sean Connley and Katherine for our fantastic lesson, we can’t wait for next week and to see who the student of the month is! 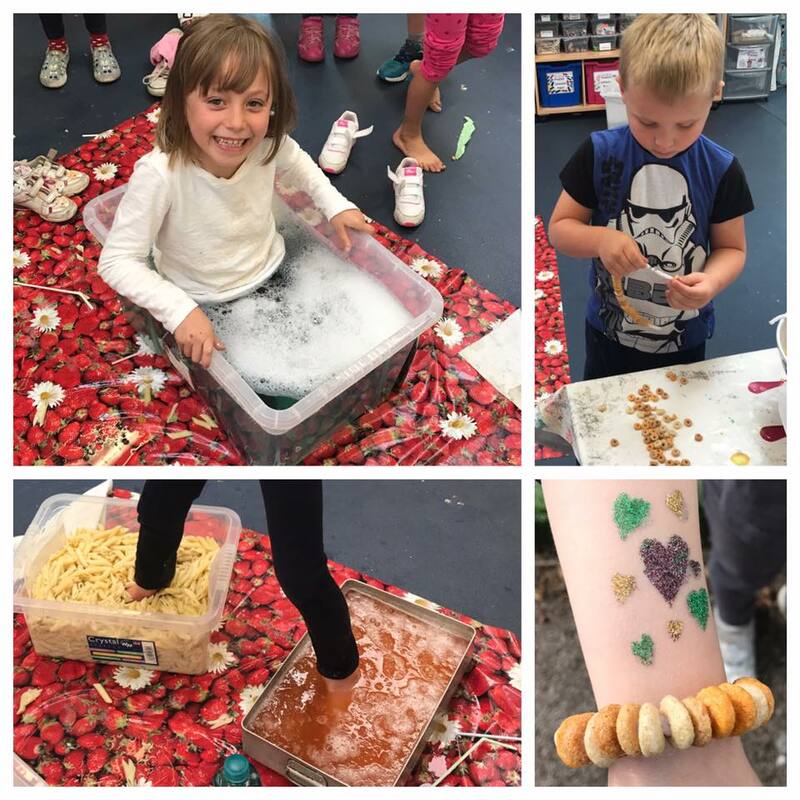 Messy and wet play and Cherrio jewellery. 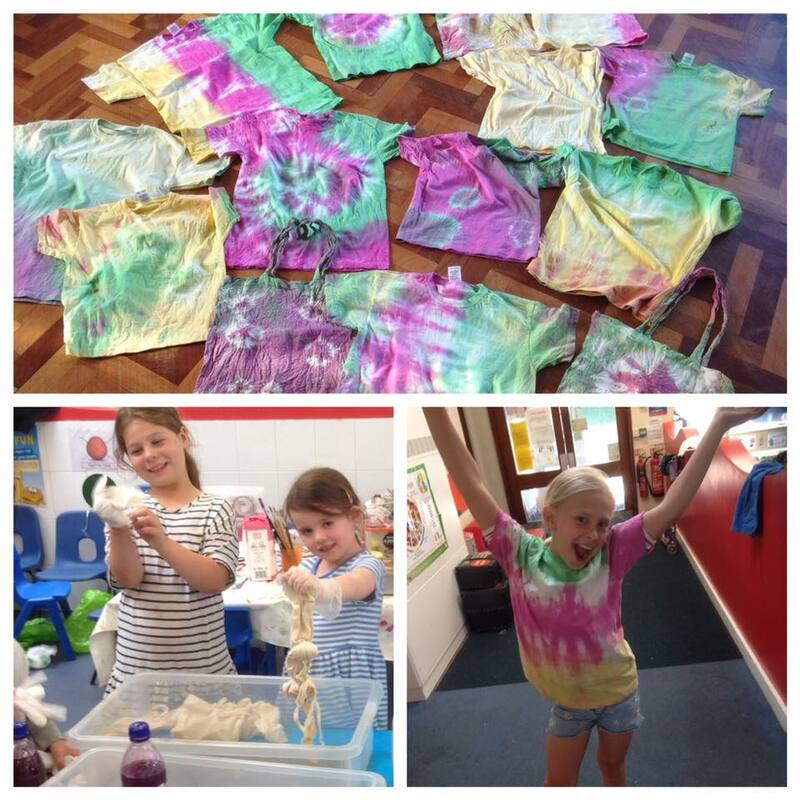 A bit more of what we have been up to this week..
Look how cool our tie dye t-shirts and bags are- watch out harpenden for some funky shirts! 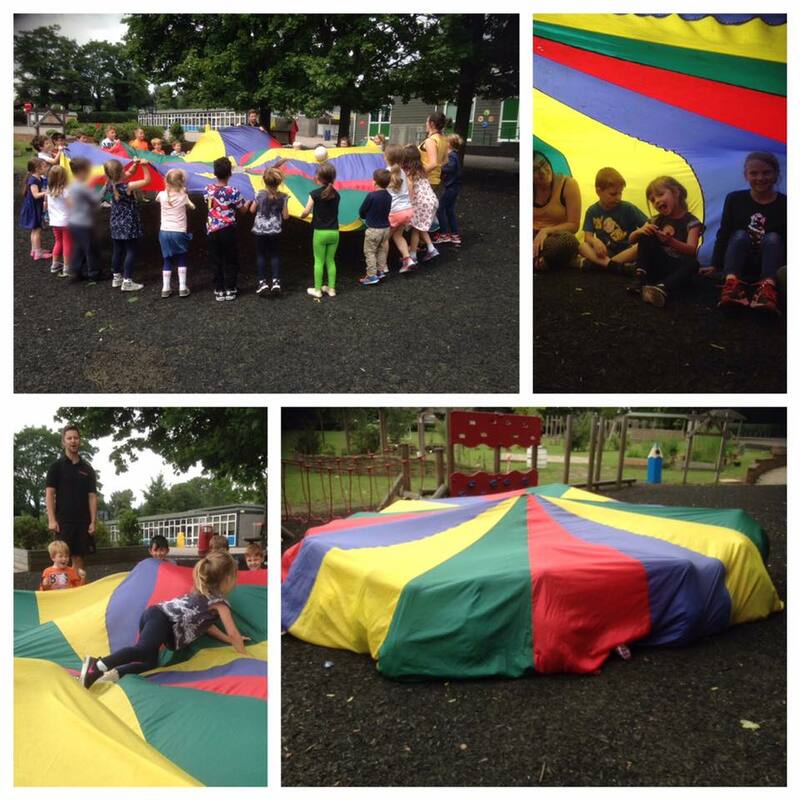 Fun with tunnels and tents!!! 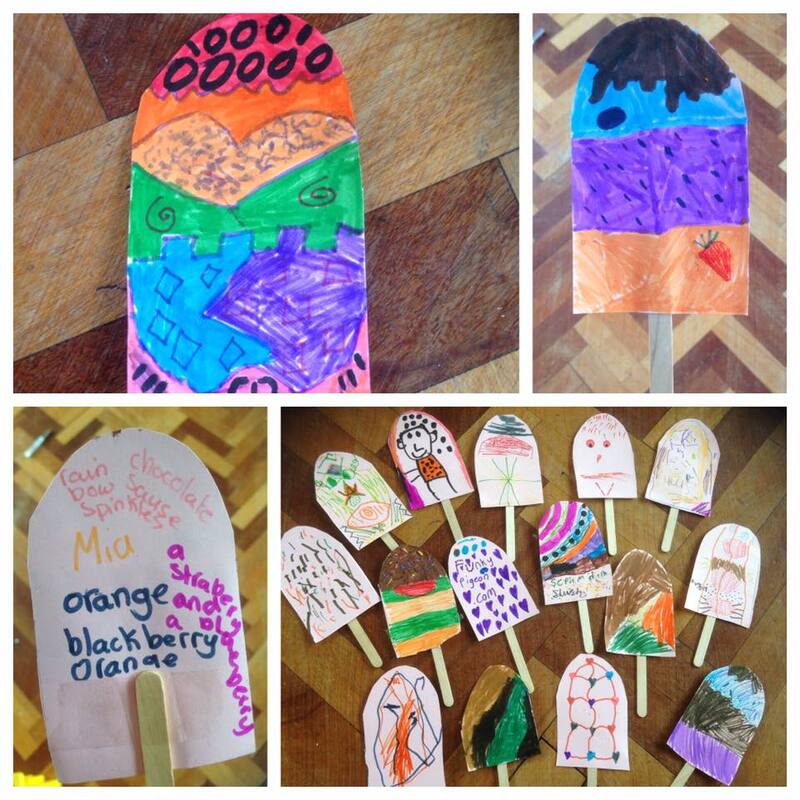 We decorated our own ice lollies! Look how yummy they look! 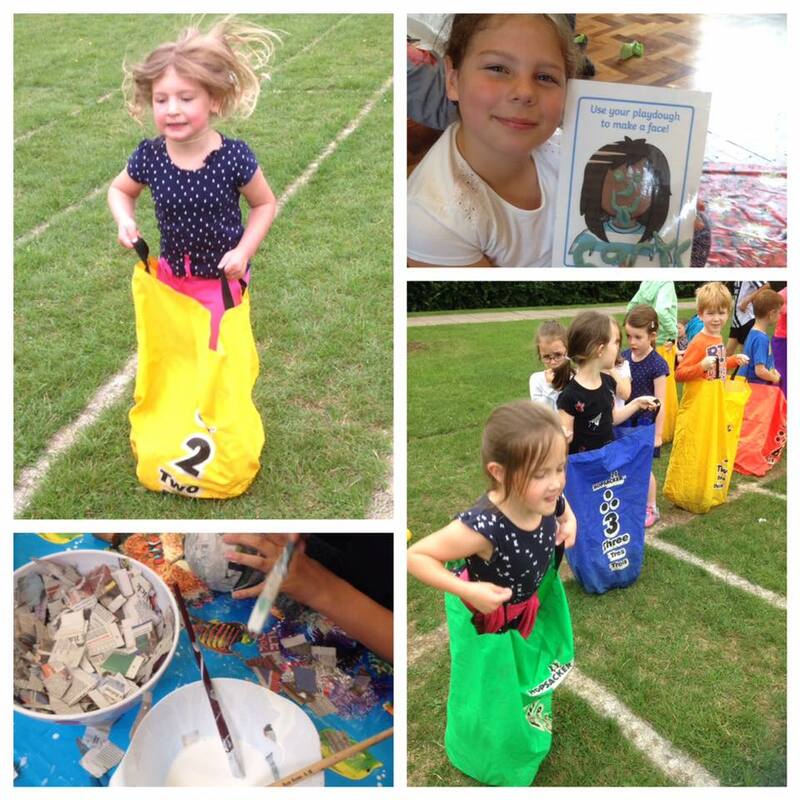 the winner is Lara B, well done! 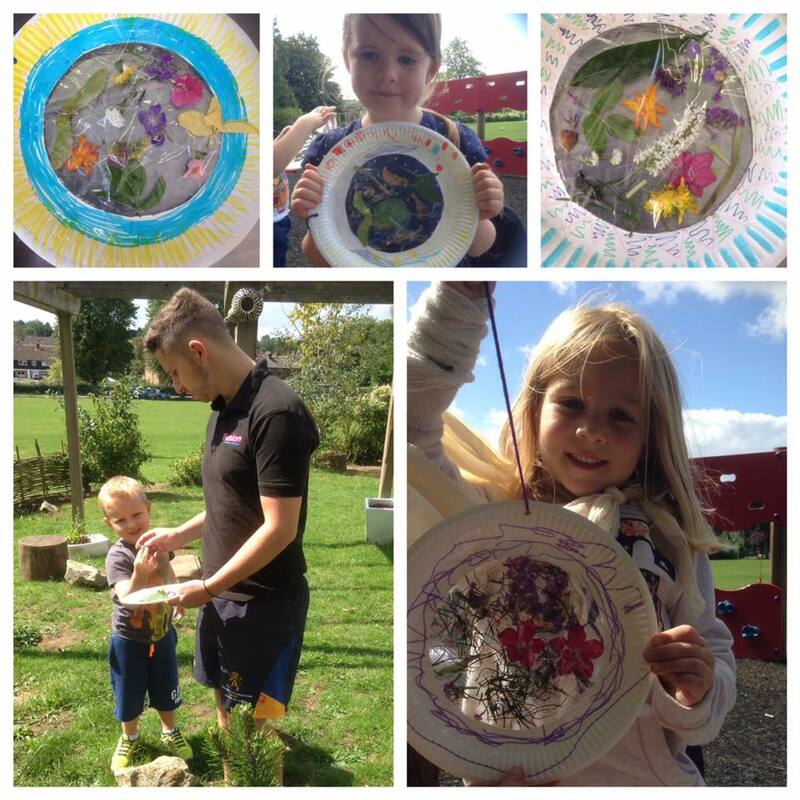 This morning we sat in the sunshine and made nature plates. 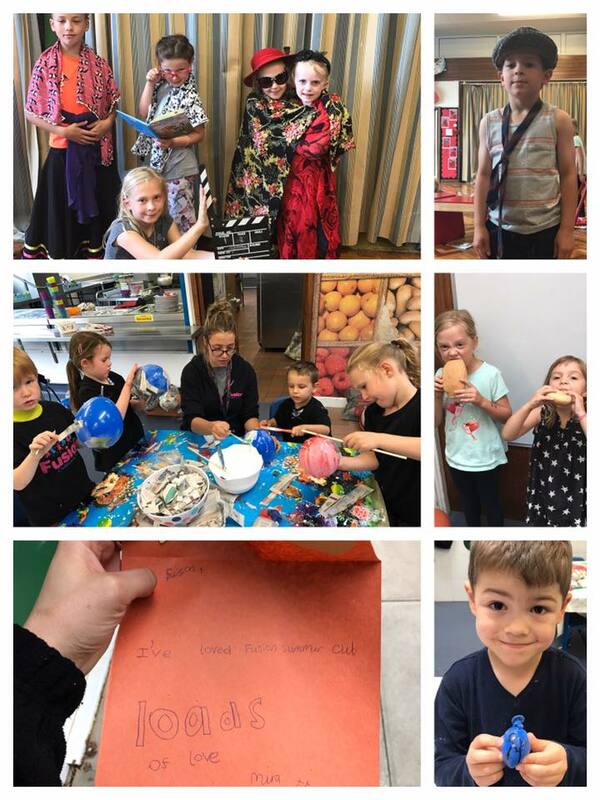 We went on a scavenger hunt for our objects and decorate our nature catchers! Look how cool they look! 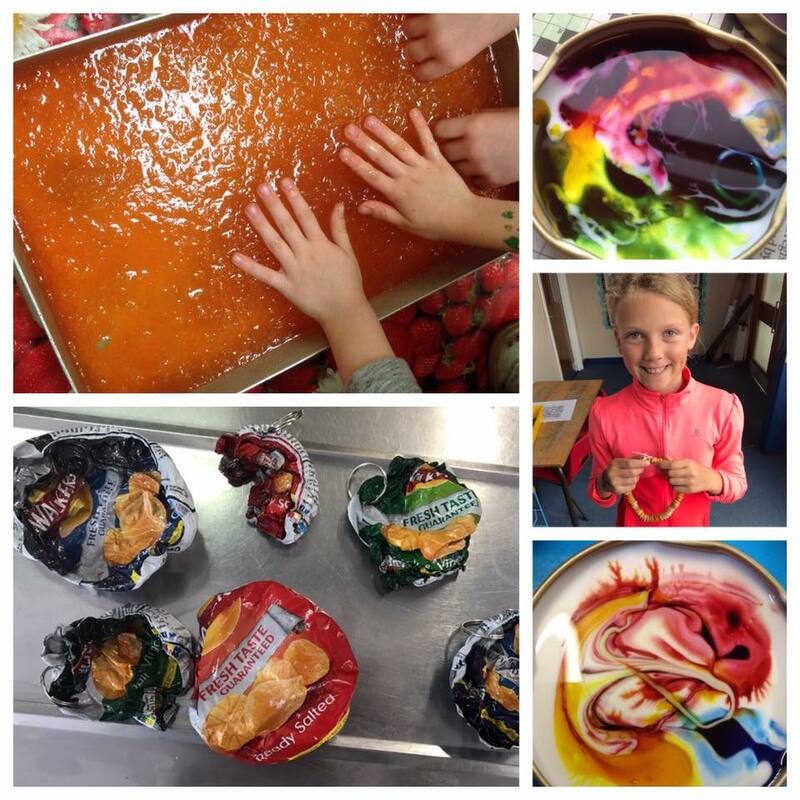 Balloon experiment! 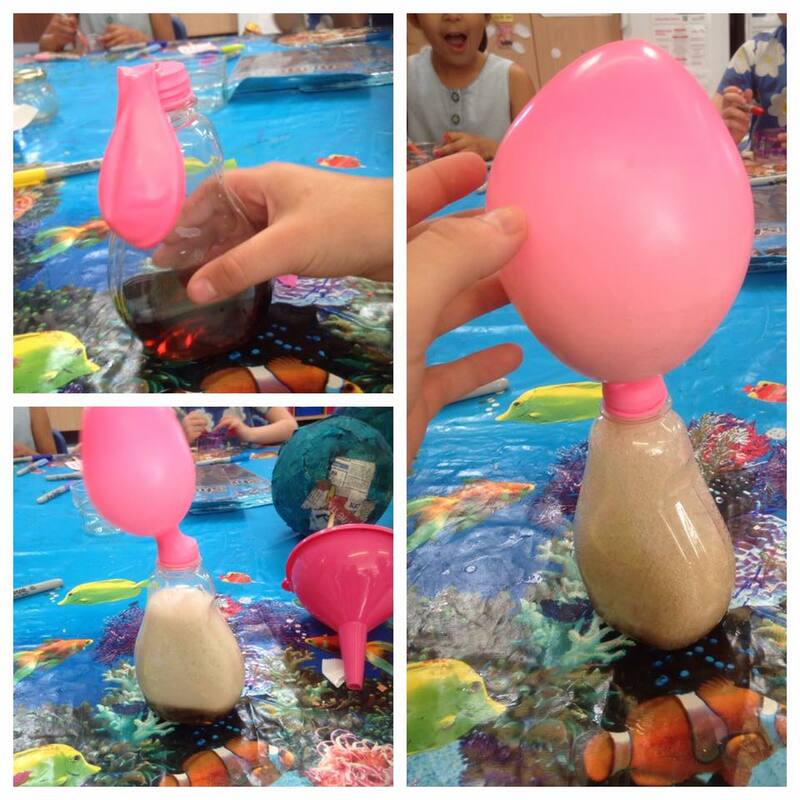 We made a ballon blow up using bi carbonate of soda and vinegar! AMA-ZING! Home made Bath bombs!!! 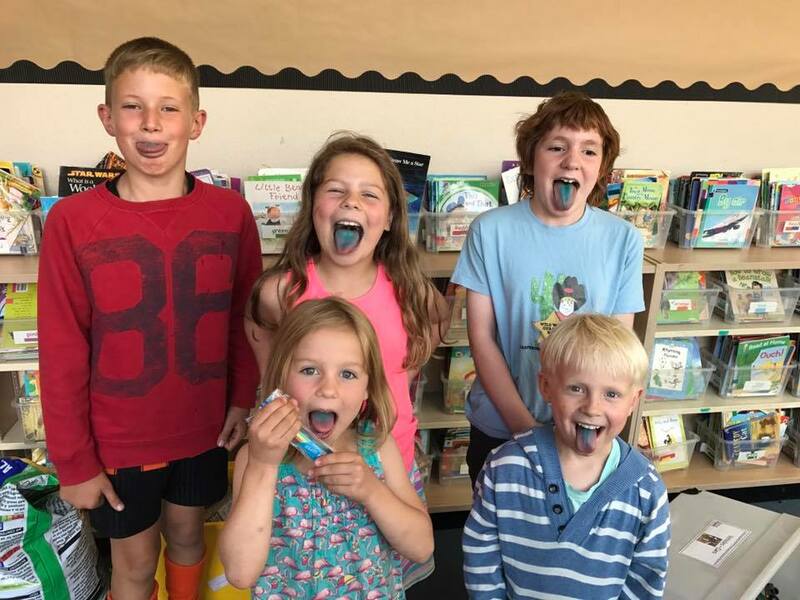 We have made peppermint, lavender, orange, ucaliptas, lemon grass and tea tree flavour!! We hope you all have a relaxing bath tonight with the lovely smelling bath bombs. 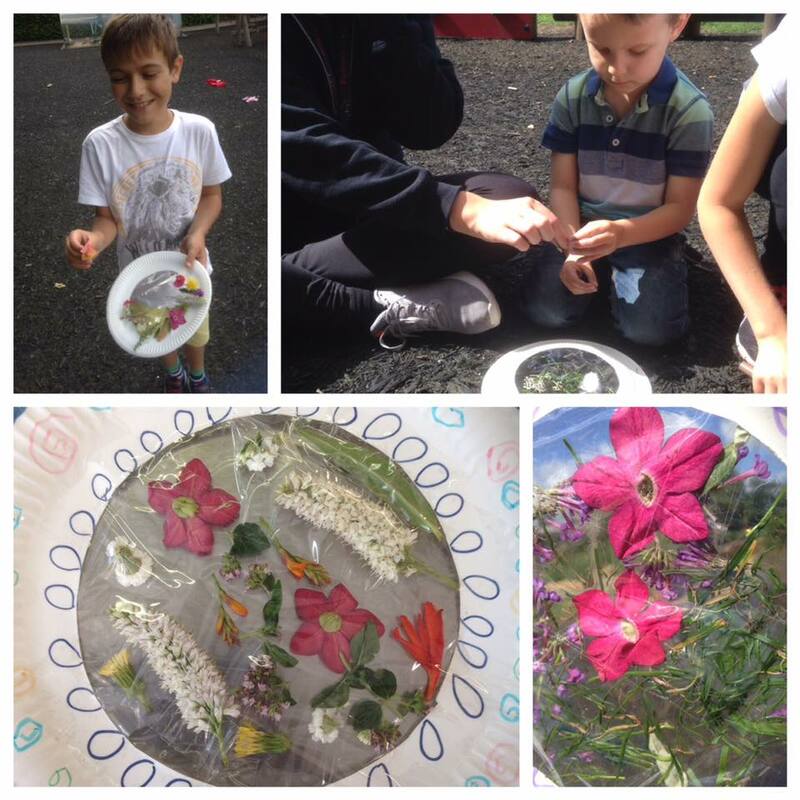 This afternoon we have made peppermint creams, shrinkies, planted flowers and decorated jars! 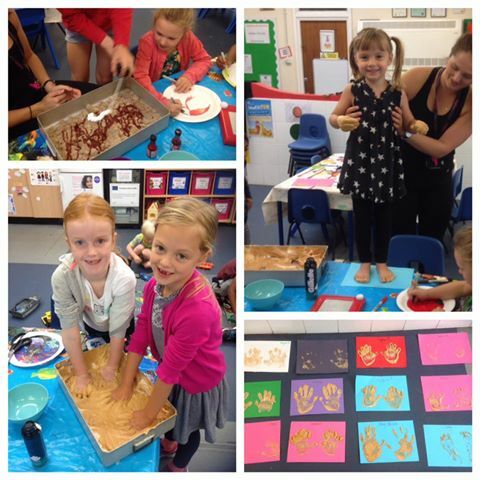 Busy busy but lots of fun!!! 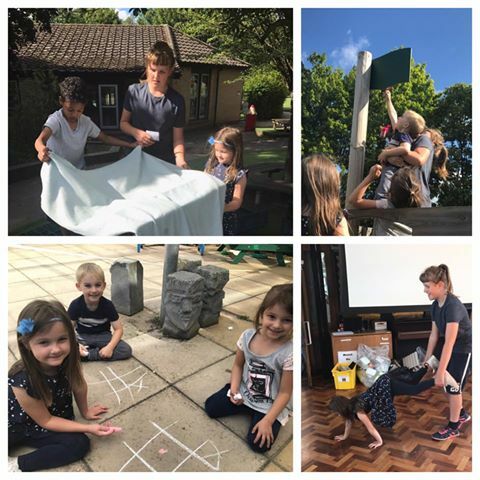 Our treasure hunt today had us doing lots of activities- we had to find facts about subjects, we played tic tac toe, built a den, did wheelbarrow races and lots more. 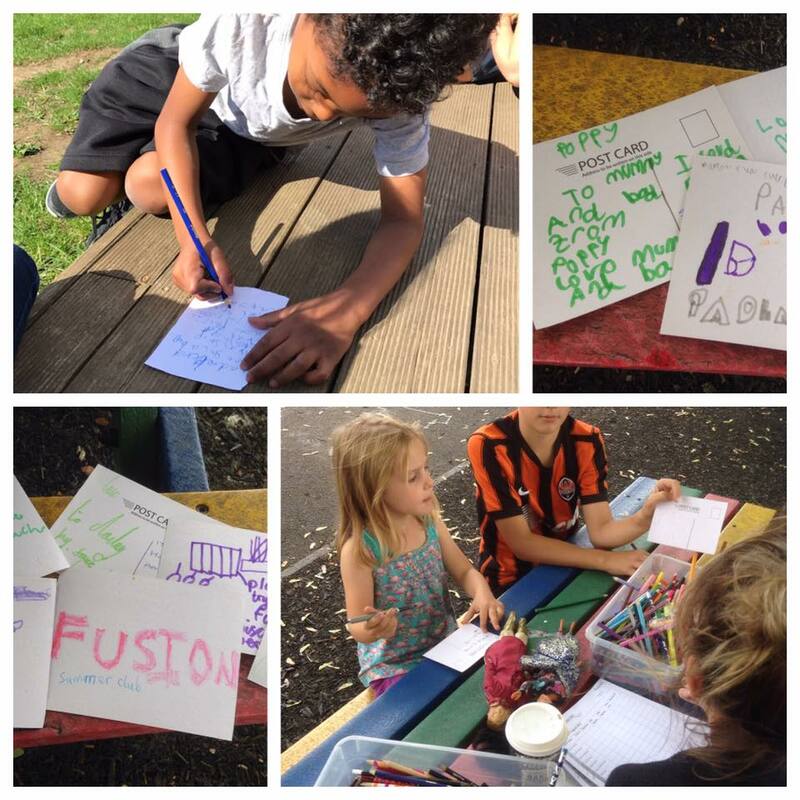 Today we made top trump cards about ourselves and played each other! 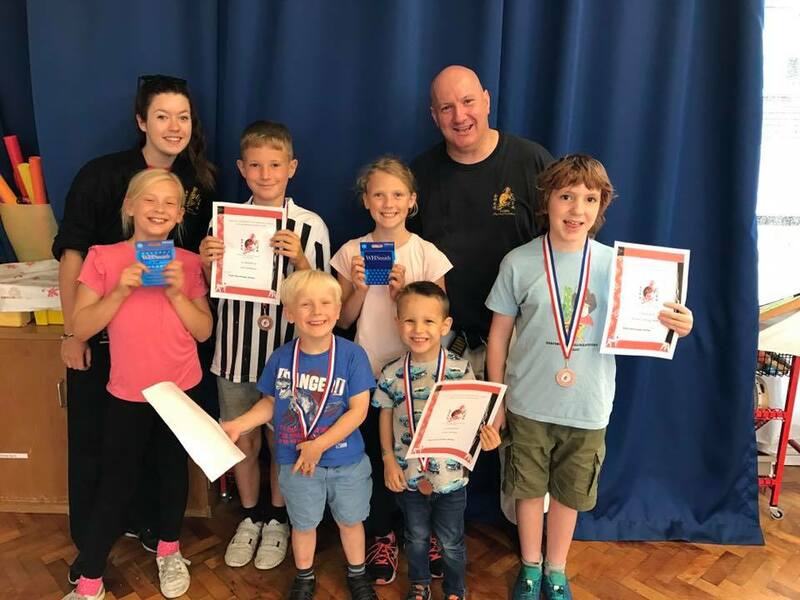 Well done to all the winners!!! 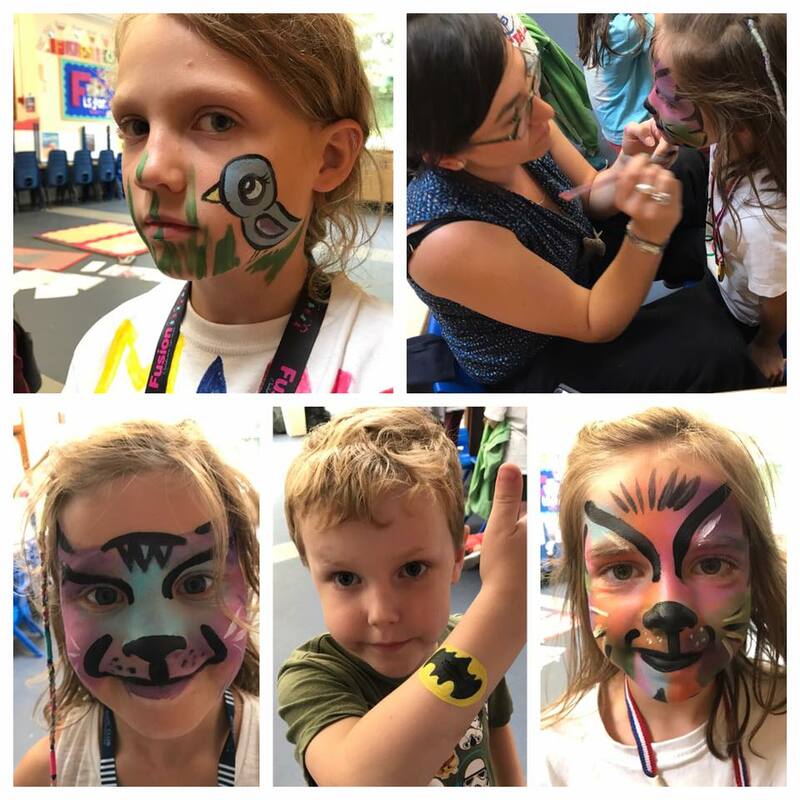 We have been very arty today! 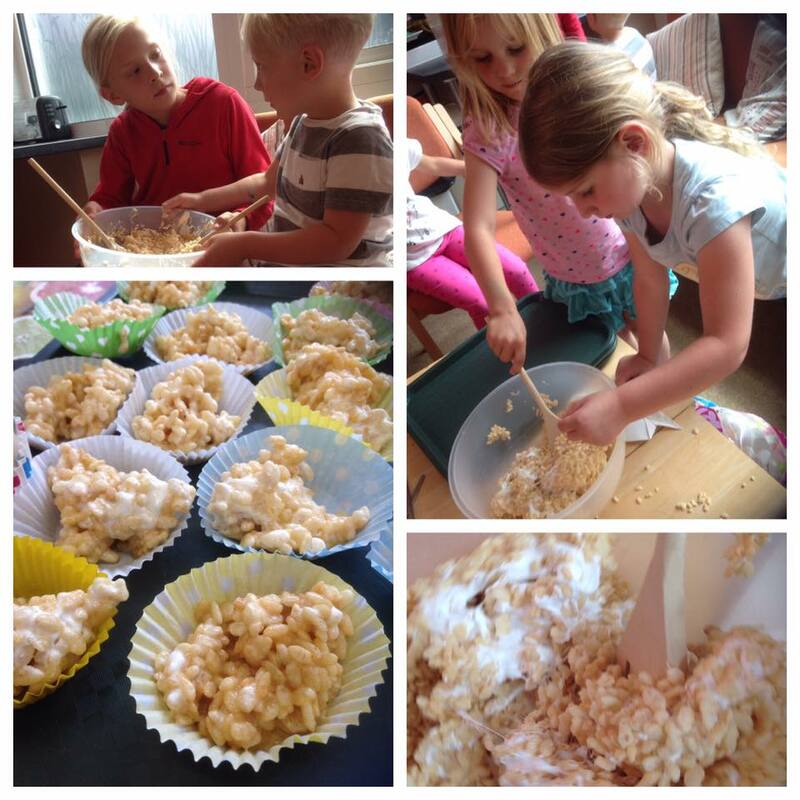 Look what we have made! 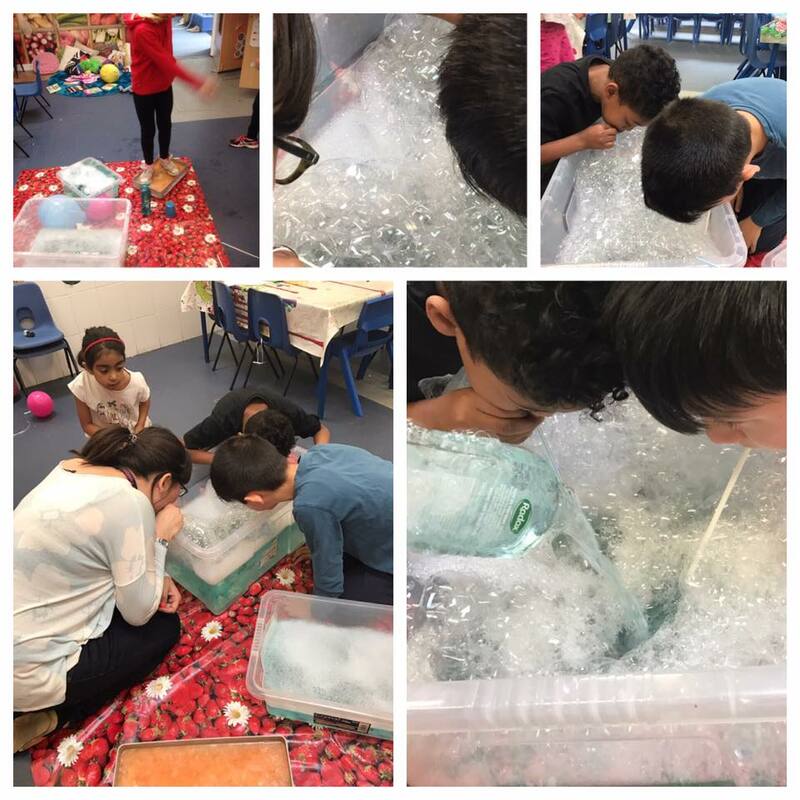 Home made rain makers! 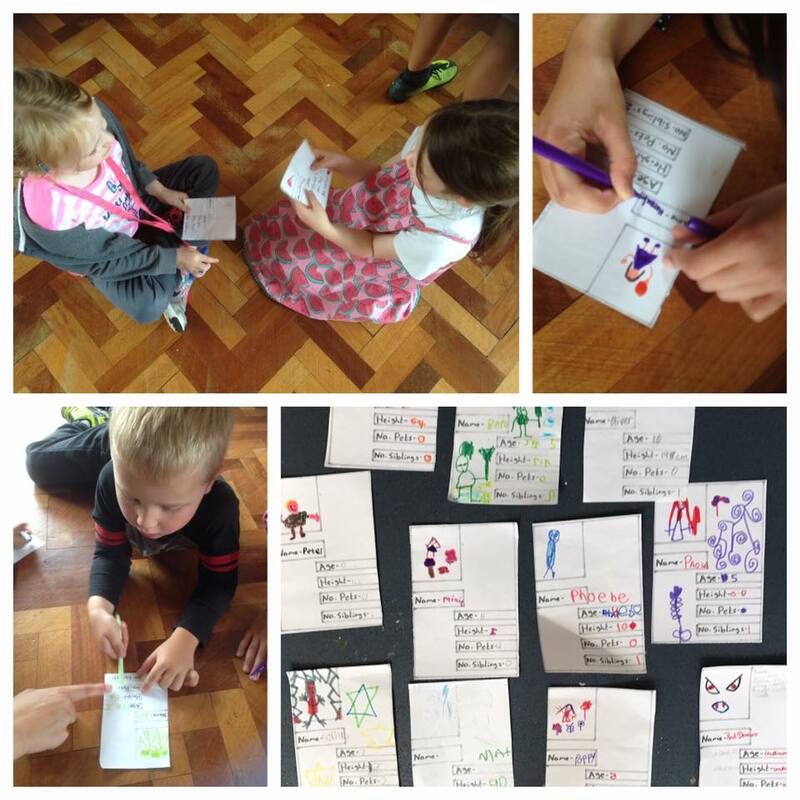 We made lots of music and songs to them! 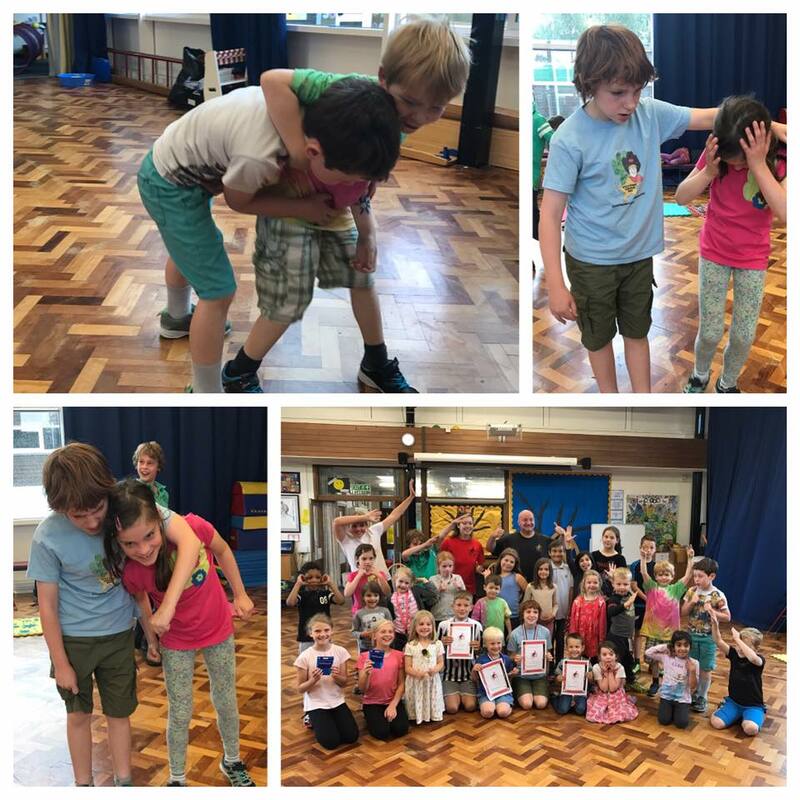 A massive thank you to Sean and Katherine for or last karate session. 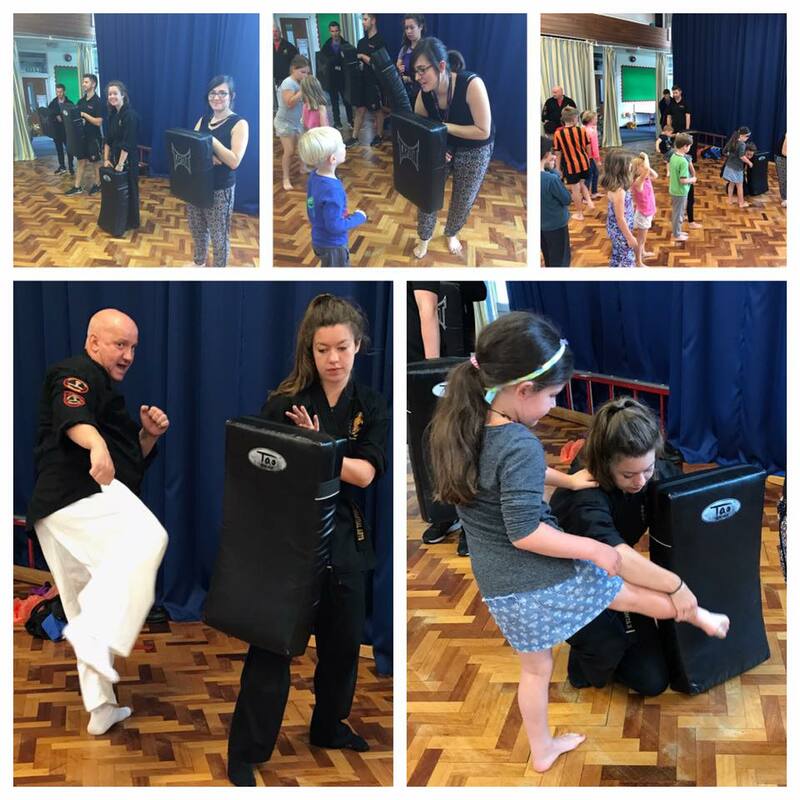 We have all had so much fun and today we learnt self defence and practiced our moves!!! 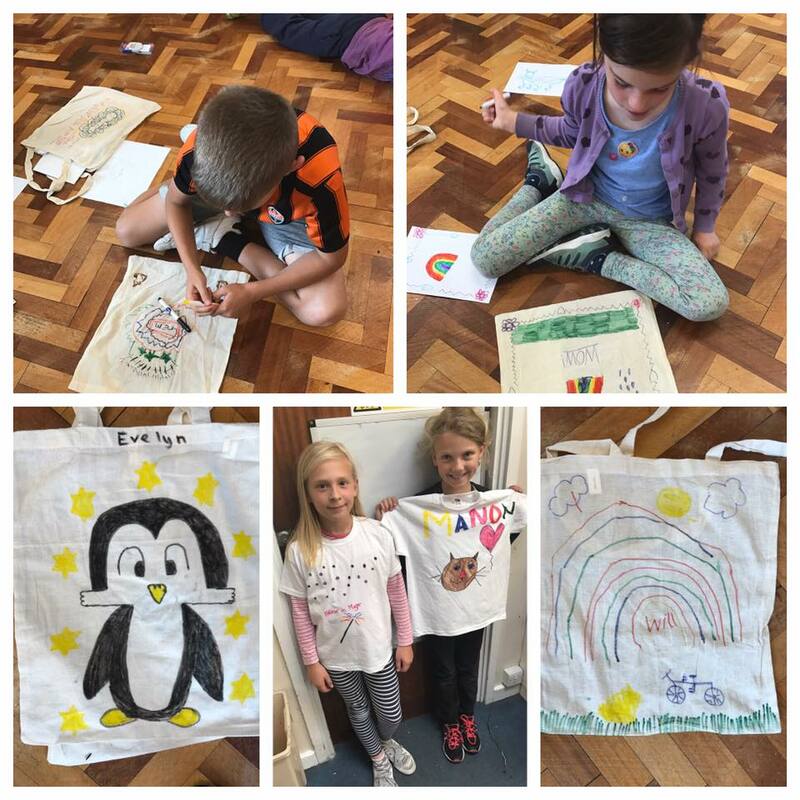 This afternoon at Fusion we have designed our own bags and t-shirts! Very creative! 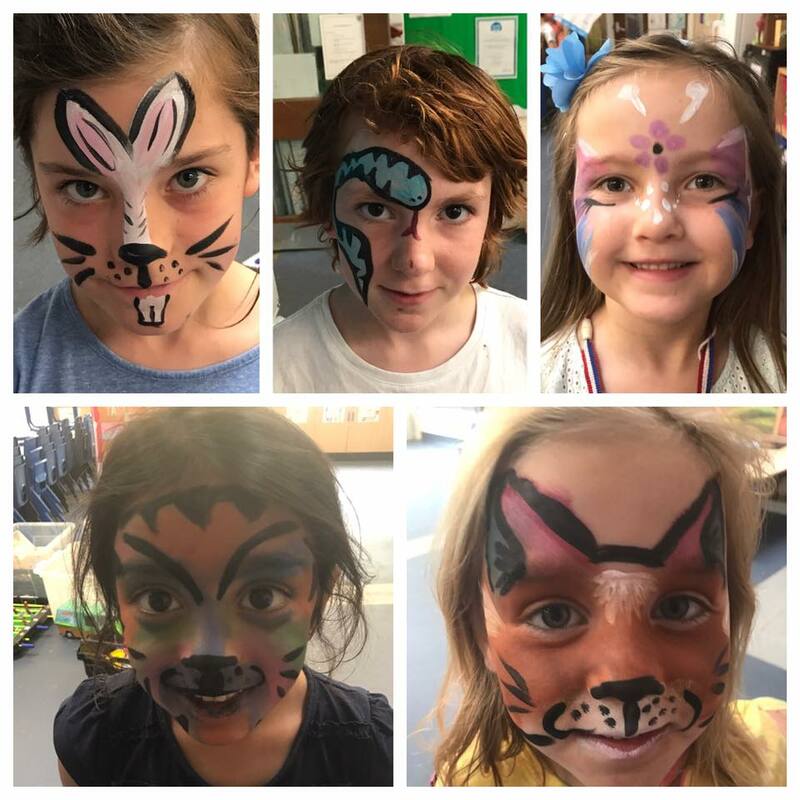 Some more wonderful face painting!!! 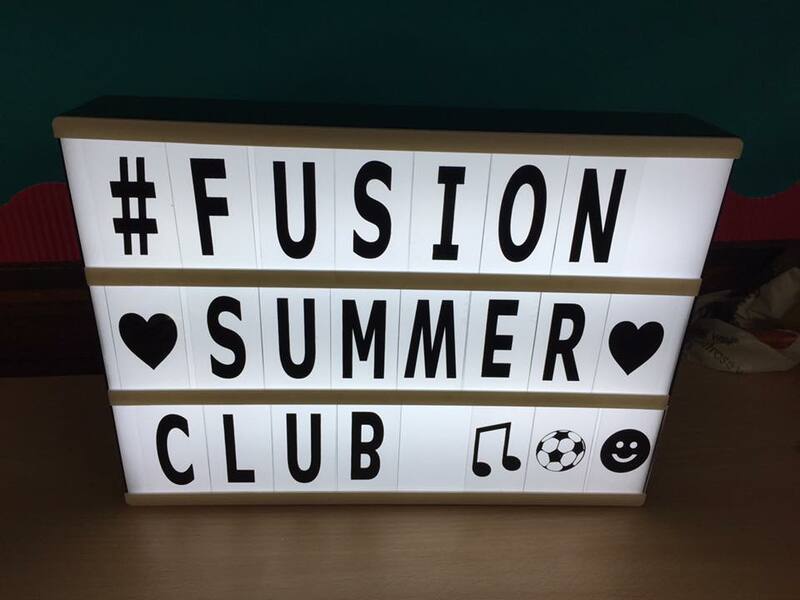 Fusion summer club over and out…. that’s a wrap!